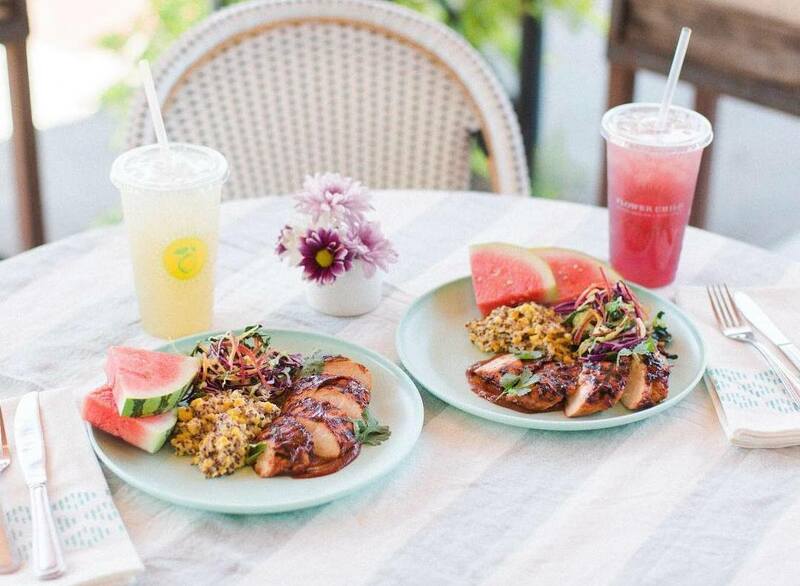 Eating healthy doesn’t have to mean chicken and salad for lunch every day (even though some of Atlanta’s healthiest restaurants toss together some BOMB chicken salads). When it comes to choosing good food to fuel your day, it’s more about how it’s sourced, sustained, and cooked. 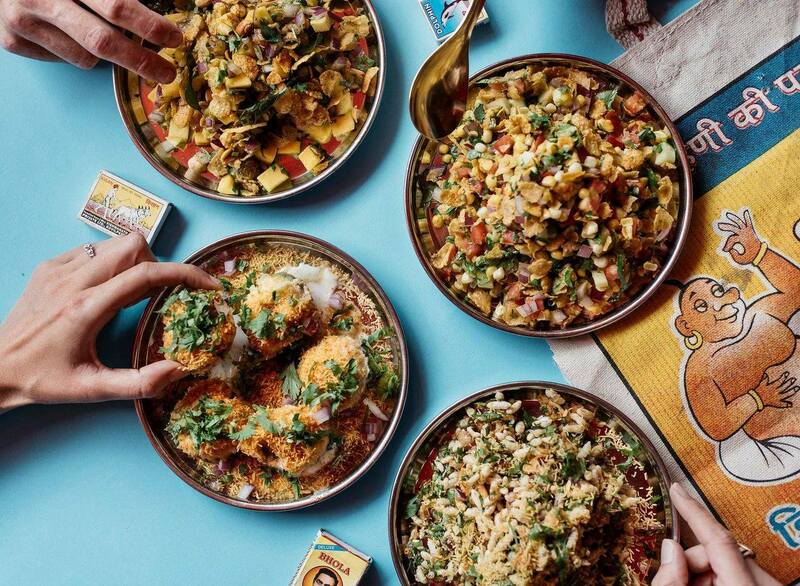 If you know where to look, you can find juicy burgers topped with the (organic) works and made from hormone-free, grass-fed beef, and Indian street food featuring sustainably-sourced fried catfish sandwiches. Whatever you’re craving, Atlanta’s restaurant scene has more than a few menus that allow you to pile food on your plate without piling on the guilt. 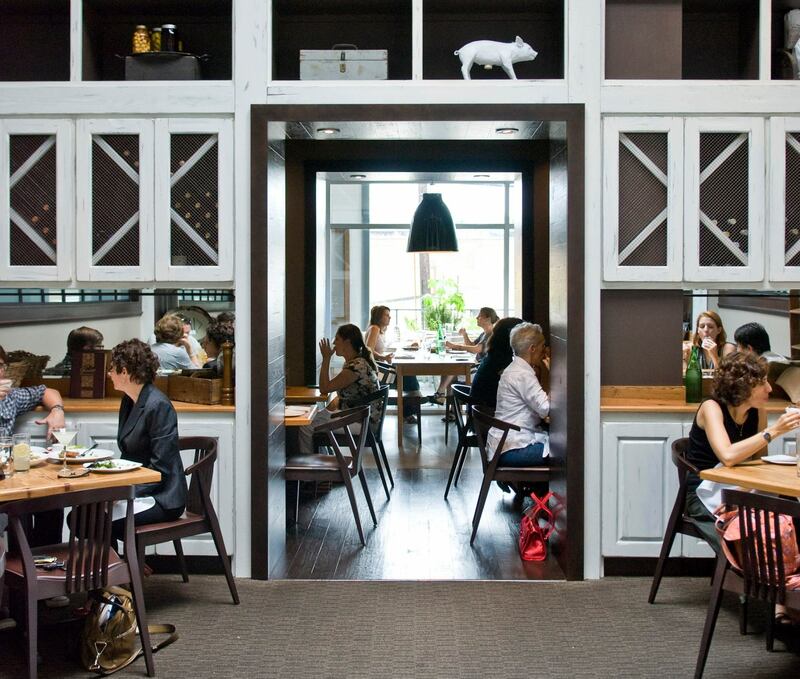 This sophisticated Southern-style eatery practically defined farm-to-table in Atlanta. Their menus are constantly changing, are strictly seasonal (no tomatoes here in the winter), and are completely made in-house and from scratch. Chef Zeb Stevenson is at the helm in the kitchen (maybe you recognize him after winning Food Network’s Chopped cooking competition? ), where he dishes out upscale classics like pimento cheese with sweet pepper jelly, chicken and dumplings, and spicy collard greens. Find them in Brookwood Hills. This farm-to-table restaurant set up in a Westside refurbished warehouse in 2009 and has been dishing out wholesome Southern cuisine ever since. Miller Union‘s founder and executive chef Steven Satterfield is dedicated to organic cooking, creating menus to match the changing harvest of each season. He’s all about garden-fresh flavors and dishes driven by vegetables and herbs. And it doesn’t hurt that he won the James Beard Award for Best Chef in the Southeast in 2017, either. Go here to devour wholesome Southern indulgences like grit fritters, seared pork belly, and grilled quail. 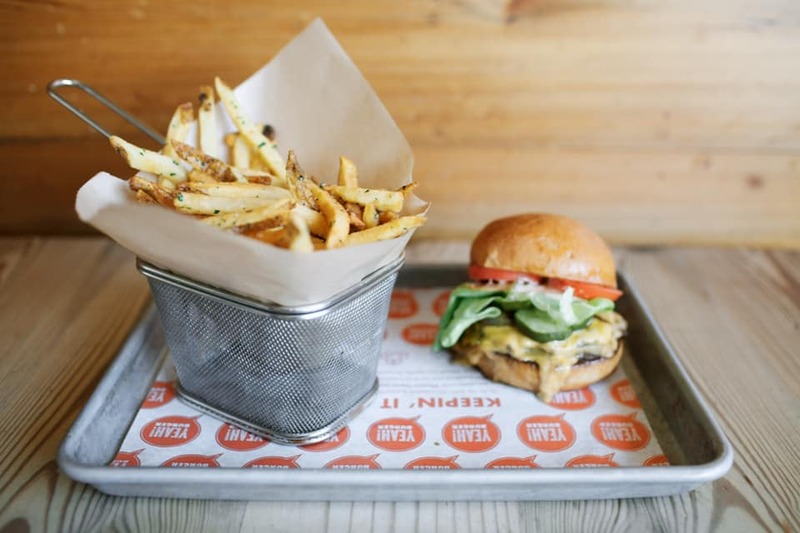 This modern diner (with locations in Virginia-Highland and West Midtown) is dedicated to serving burgers made from grass-fed, locally-sourced, humanely-treated beef. All ingredients are local—which they define as grown, harvested, or produced within 150 miles of Atlanta proper—and the menu includes delicious options for gluten-free, vegan/vegetarian, and paleo diets. Build your own burger, choosing from proteins like crab meat and bison, and top it off with the usual fixings or something fun, like bacon jam or sriracha mayo. You won’t find any GMOs, artificial sweeteners, or high-fructose corn syrup on this menu. Coming from the same masterminds behind YEAH! 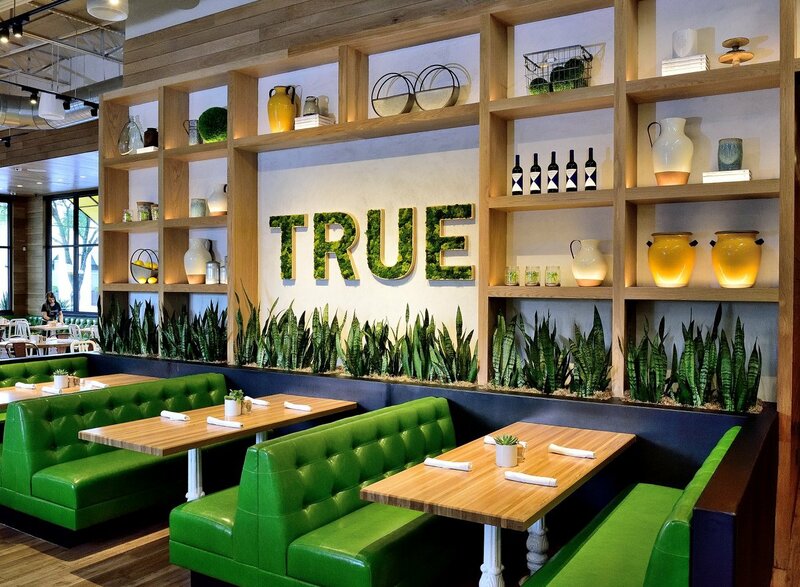 BURGER, this healthy fast food joint is a true gem in West Midtown. 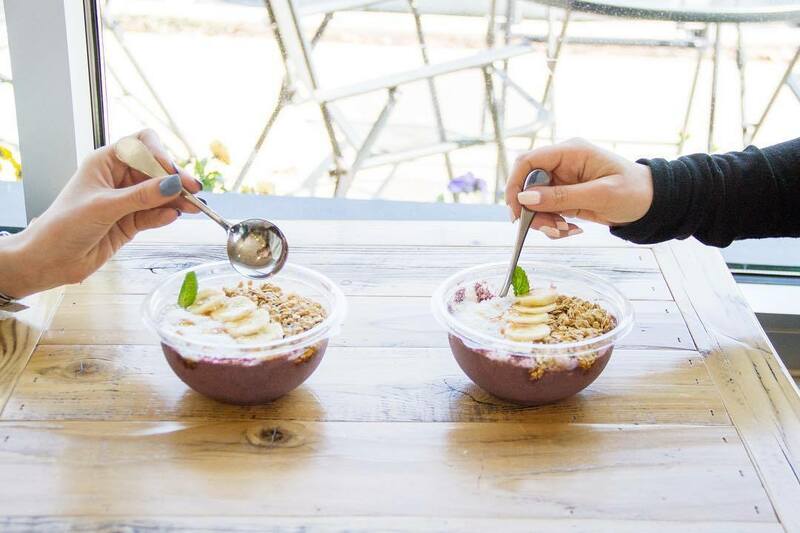 We’re talking organic salads piled high with the goods, grain and smoothie bowls, fresh-pressed juice, toast topped with avocado or almond butter, and even superfood lattes. If you’re feeling adventurous, try the Magic Mushroom latte. Served hot or cold, it’s made with chaga mushroom, peppermint, rose hips, agave, vanilla, and almond milk. Cafe Sunflower offers a 100% vegan menu that’s loved by carnivores and herbivores alike. 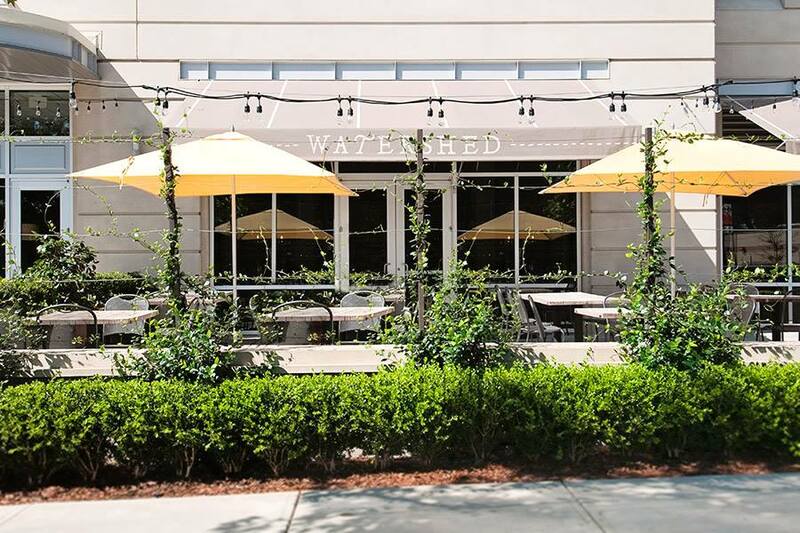 Each location has slightly different items (with the flagship in Sandy Springs boasting fresh-pressed juice and Buckhead serving brunch), so consider your cravings before heading to either one. However, both have their own versions of baked stuffed acorn squash, as well as spring rolls, steamed dumplings, and spicy pad Thai noodles. Finally, a good old-fashioned meat-and-bread meal that won’t leave you feeling guilty. 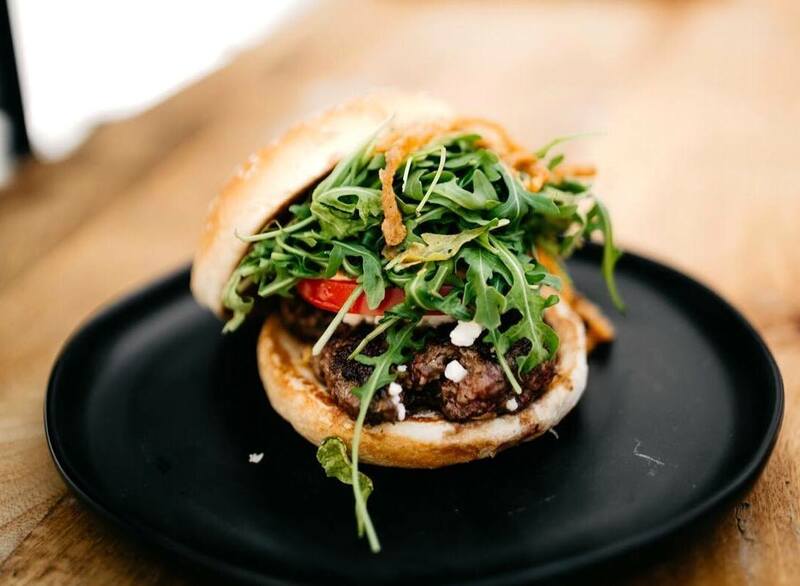 The burgers at Farm Burger are made with meat that is grass-fed, locally raised, made in-house, and ground fresh before being put on the griddle (and you can substitute chicken or a veggie quinoa patty). 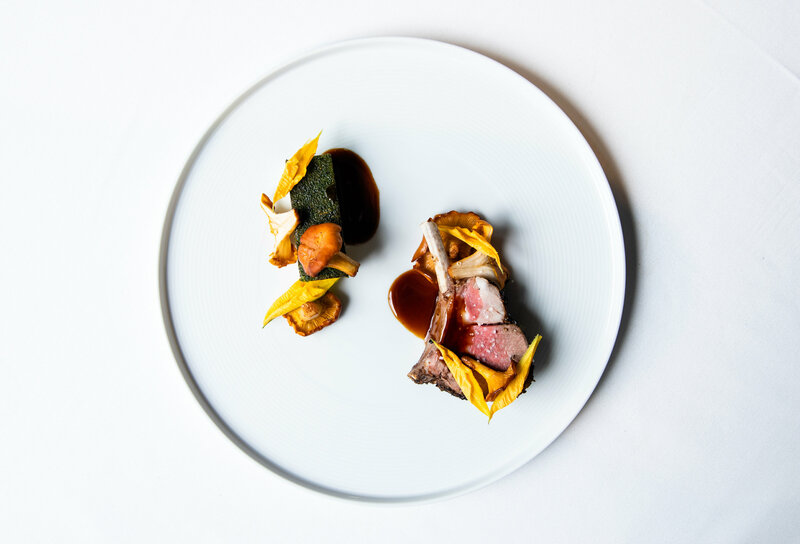 Build your own and choose from toppings like oxtail marmalade, gruyere, and roasted bone marrow. You’ll find locations in Buckhead, Dunwoody, Decatur, and Midtown, but also look for them around the Southeast (and as far as California). Founder Kameel Srouji opened Aviva by Kameel downtown to bring Mediterranean dishes made with quality local produce to Atlanta. Leaving the butter behind, they exclusively use olive oil for their cooking — and the cleaner, fresher flavor is noticeable. Indulge in delicacies like lamb shawarma or rosemary chicken, and don’t leave without devouring a side of falafel… or a falafel sandwich. 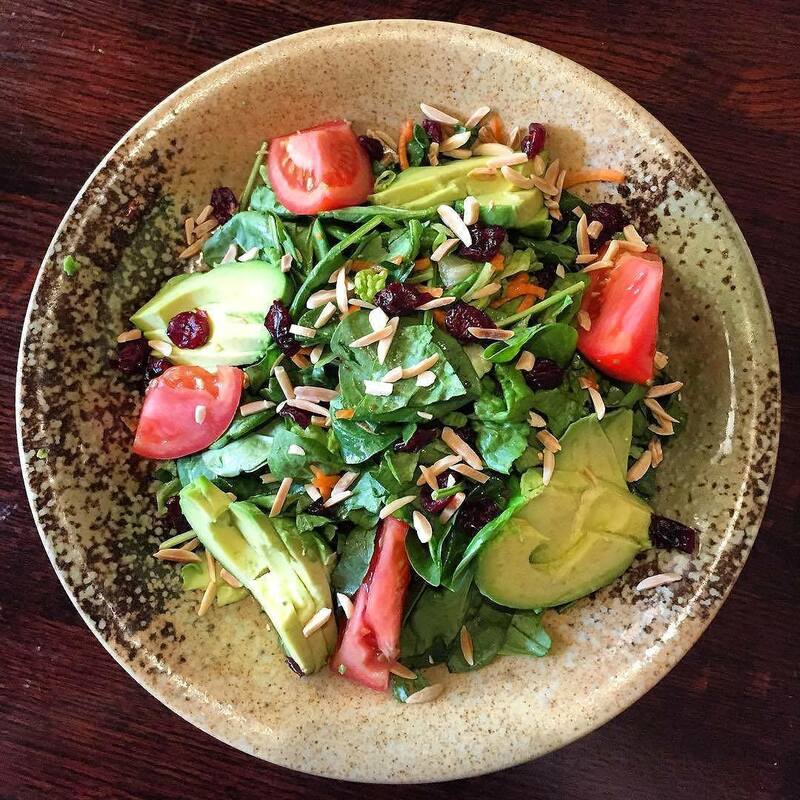 Having a salad for lunch is far from boring when you’re at Wildleaf in Buckhead. Choose from their own salad and grain bowl recipes and mixes, or opt to make your own from dozens of ingredients. All of their proteins are proudly hormone-free and antibiotic-free, meant to be paired with locally-sourced produce and over 20 house-made dressings. 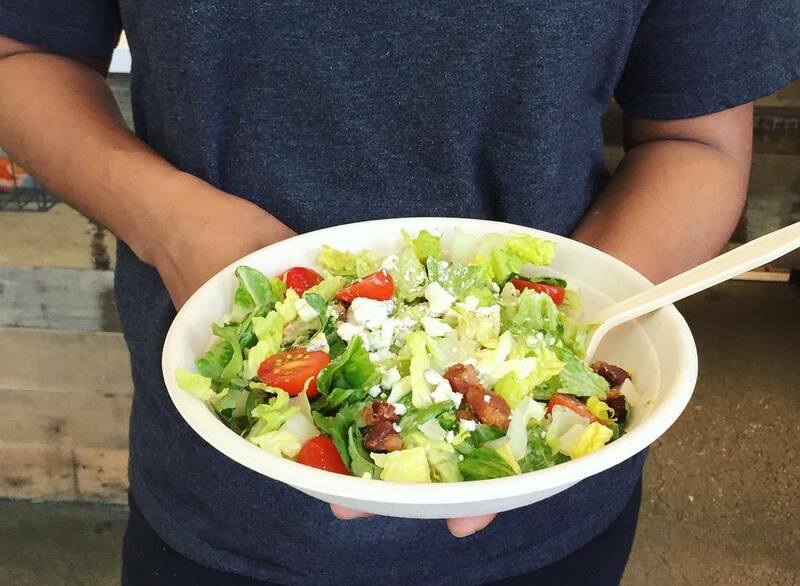 Fitt Tip: this spot is to-go only, so plan to grab your greens (and biodegradable utensils!) and head to the nearby Tower Place Park for a picnic lunch. This spot is much loved for its array of fresh-pressed juices, but don’t overlook their more filling menu options. Acai bowls, tuna wraps, and avocado toast are just a few of the shining stars alongside a long list of salads, hummus, and grain bowls. Try the beet salad — a mix of raw beets, arugula, sunflower sprouts, walnuts, goat cheese, and other healthy ingredients. 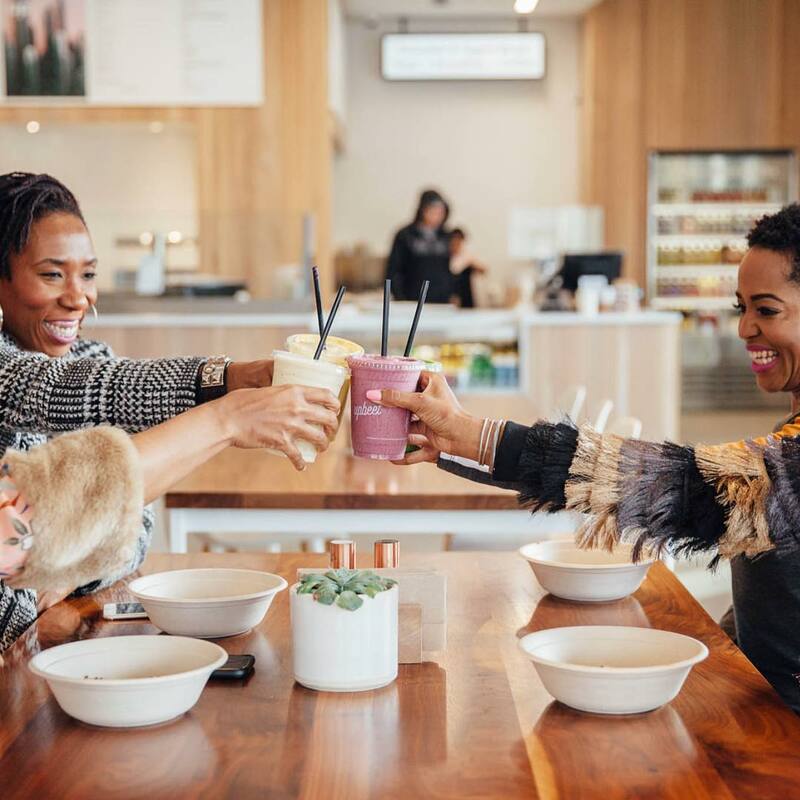 And you’ll likely be seeing them often — KMC is quickly growing, with locations all over Atlanta, and as far away as Denver, CO.
Head Chef Wendy Chang serves up super-healthy, vegan pan-Asian fusion cuisine out of this upscale Midtown hot spot. 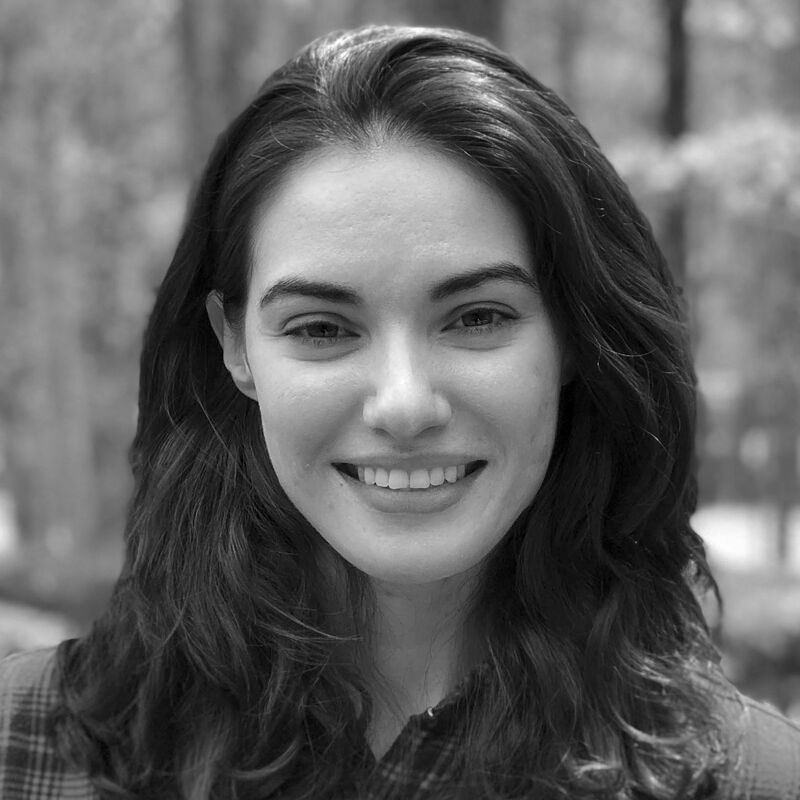 She came to Atlanta at age 17, relocating from Taiwan, and operated multiple successful restaurant ventures before dedicating her skill to a green and healthy movement at Herban Fix. Dress to the nines when you show up to sift through a menu of creative, flavorful dishes like coconut soup with veggies and shallots, or seared pom pom mushroom steak. You’ll find outposts of this chain in many major cities across the US, but the one here in Lenox Square is worth a shoutout. 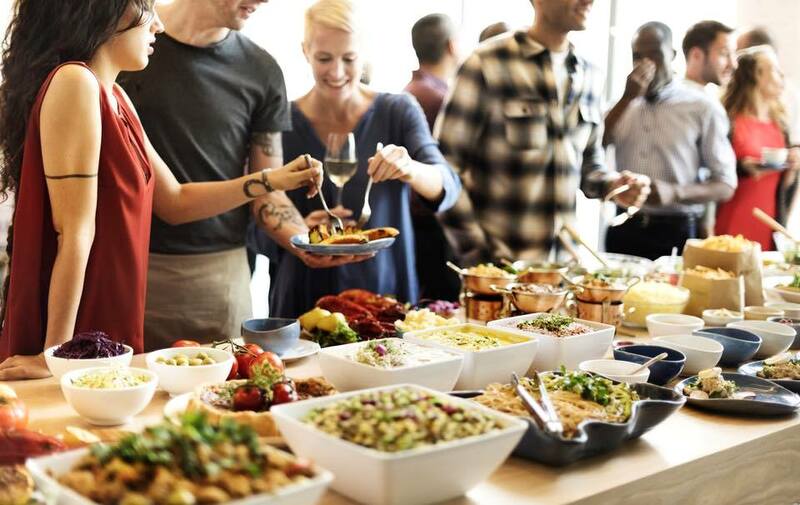 Their menu options cater to an anti-inflammatory diet, meaning all the noms encourage simple changes in eating habits to avoid chronic inflammation, the cause of health problems like heart disease and cancer. So what does that mean? They minimize tropical fruits, load up on all the veggies, use spices like ginger and turmeric, and even have a place for dark chocolate. 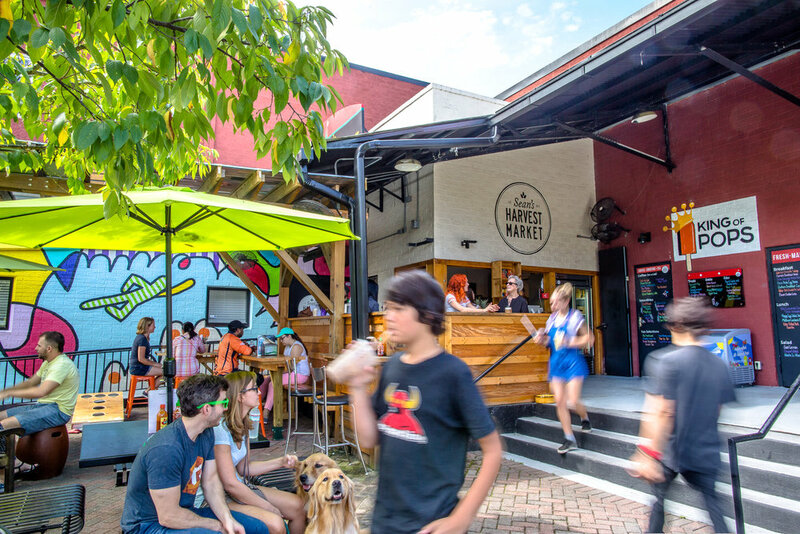 Found just steps away from Piedmont Park, this is the place to go on a warm summer day when you’re looking for some feel-good eats. Their menus change as often as the seasons, and they’re dedicated to making food with the freshest, most local ingredients possible. On any day, you’ll find their self-proclaimed “kickassandwiches”, freshly-made biscuits, salads, soups and wraps, fruit smoothies, and all-day breakfast. Hawaiian poke bowls aren’t just a health fad. They’re high in protein, Omega-3 fatty acids, and B vitamins — and here to stay. 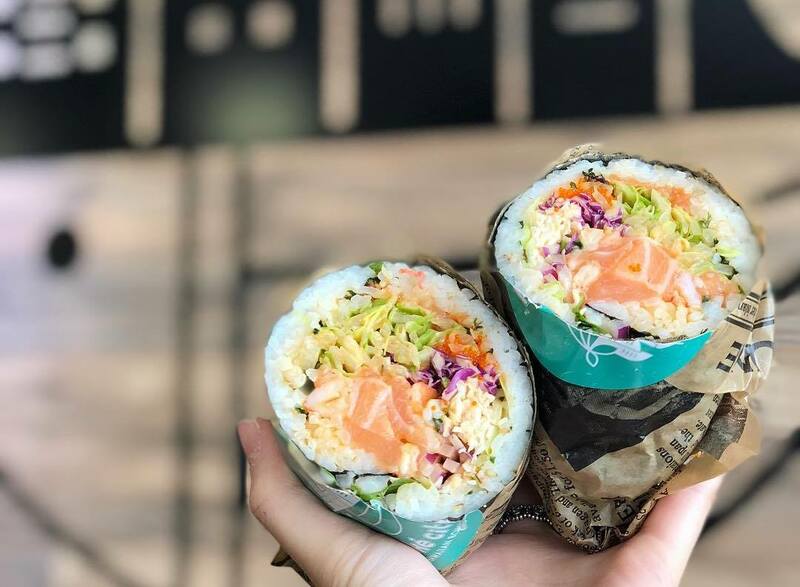 Poké City has spots in Atlanta—Midtown, Buckhead, Dunwoody, Johns Creek, and Newnan (coming soon)—each delivering super-delicious and customizable poke bowls, poke burritos (wrapped with roasted seaweed and white rice), and acai bowls. Pile on the tuna, octopus, shrimp, or even tofu, and dig into the best meal of the day. Fun fact: “chai pani”—which translates literally to “tea and water”—is slang in India for going out to get a small bite. 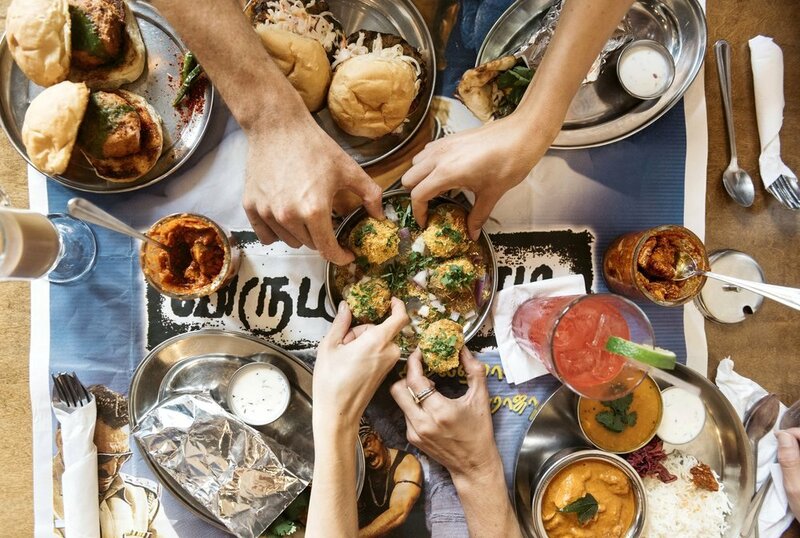 This restaurant is all about bringing Decatur the bold flavors of small bites found in Indian street food and features a menu of “chaat” (sweet and spicy street snacks) alongside “thalis” (traditional family-style meals). And the best part? All of their meats and produce are hormone-free and sustainably raised, right down to North Carolina catfish. Grab a bite of Kale Pakoras—savory kale fritters served with green chutney and sweet yogurt—or a Bengali Fish Fry Sandwich, made with some of that catfish and topped with ginger-chili mayo. Authentic, Mexican tacos made with organic, seasonal, and local ingredients? It doesn’t get more real than that. The menu at Rreal Tacos in Midtown—inspired by the heart and culinary talents of chef/owner Adrian Villarreal—changes depending on what is good, available, and seasonal. They’re also super-affordable. ($5 margaritas!? Is it cheat day yet!?) 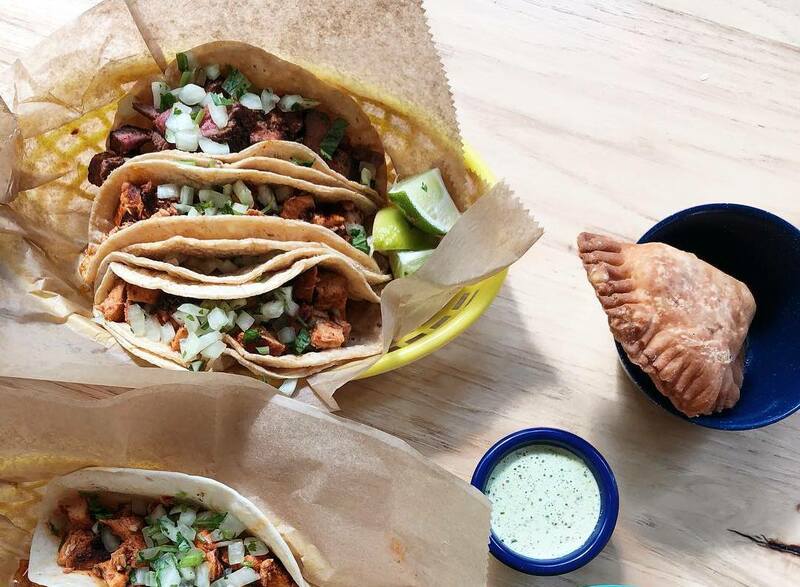 Fill up on tacos featuring grilled fish, slow-cooked pork, and beef barbacoa along with sides like roasted sweet potato and guajillo bean soup. Calling all oyster-lovers! This “Fish Camp” in Westside Atlanta brings oysters straight from the Alabama coast to your plate. 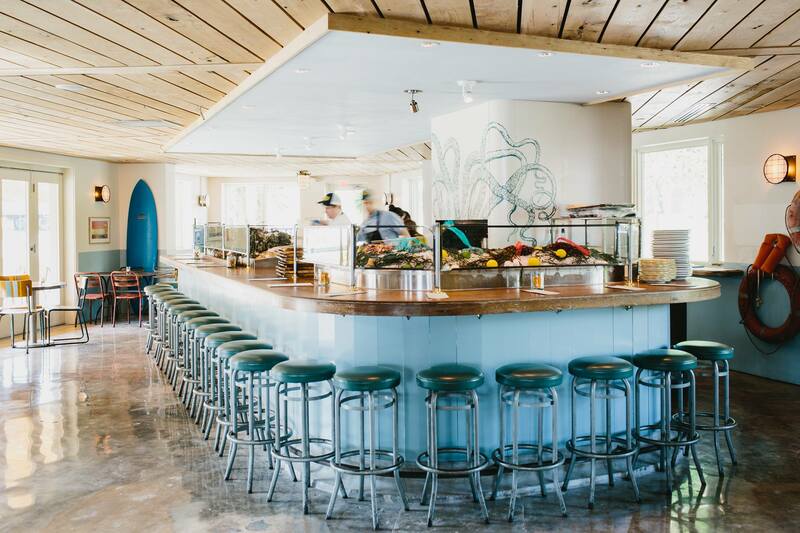 Like chef/owner Ford Fry’s other trendsetting restaurants, The Optimist is supremely focused on sustainable seafood and seasonal ingredients. Head here for Happy Hour (Monday-Friday, 5pm to 6pm/Saturday-Sunday, 3pm to 5pm) to indulge in $1 oysters, swordfish crudo, pork belly, and wood-roasted calamari. Wholesome, healthy meals with flair — that’s what’s up at Restaurant Eugene. This upscale, “white tablecloth” Southern restaurant is where you bring your mother when she’s in town. Each dish is like a work of art, featuring ingredients made wholly from scratch moments before they’re served. Consider an appetizer like the Tucker Farms artisan lettuces topped with black garlic dressing, paired with an entrée of Southern Vegetables or citrus-cured mountain trout. 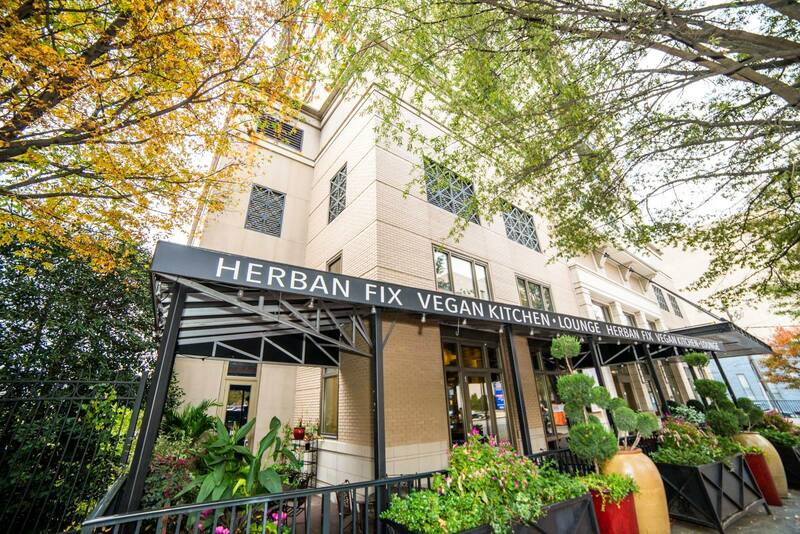 Serving up flavorful dishes packed full of fresh ingredients created to help you radiate from the inside out, it’s not hard to love Flower Child’s colorful and inviting spaces in Buckhead and Sandy Springs. And they’ve got every type of dieter in mind — gluten-free, dairy-free, and sugar-free included. Nosh on their Avocado Hummus while you wait for your Mother Earth or Vegan Ramen Bowl. And for sides, the Red Chili Glazed Sweet Potatoes and Yuzu Brussel Sprouts will not disappoint. When you have a little extra time, take a moment to relax and dine in, just don’t forget to park your yoga mat in their designated mat resting areas. 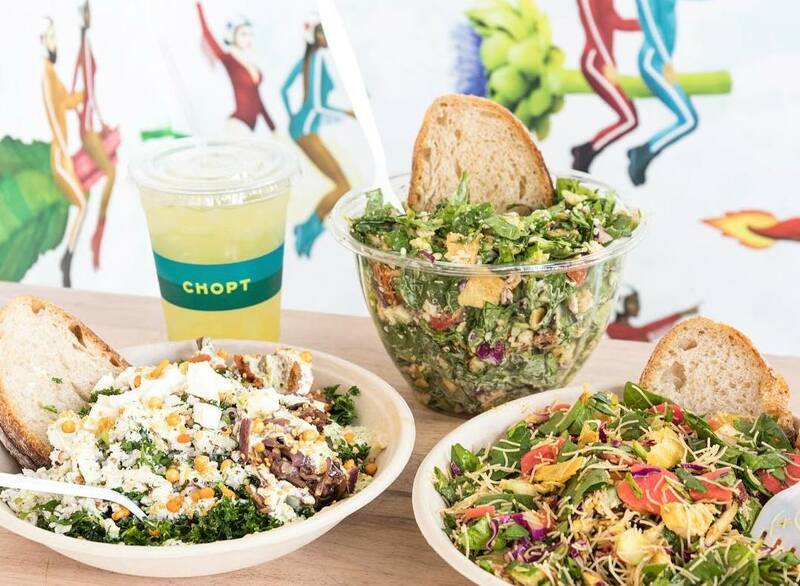 While Chopt already has locations all over the country, they’ve also established themselves in Atlanta with locations in Toco Hills and Buckhead. And, as the name indicates, you can expect to see salads, wraps, and warm bowls full of fresh ingredients on the menu. You’ll always find signature selections like the Kale Caesar, Chicken Tinga, and Kebab Cobb, but they also frequently feature unique specials that are packing some serious flavor. Oh, and they have craft every craveable creation right in front of you, so you can watch the skilled staff chop your salad into perfectly portioned bites before your eyes.